There are 10 Auditing firms that are all small. Most audits are performed by Auditors from neighboring countries. Please contact me at thoithiw@yahoo.com for any Finance, Accounting or Consultancy assignment: We also will assist in setting up your company and finding profitable investment opportunities..
Mixed – There is a small Delloite branch at D’Havanas restaurant. 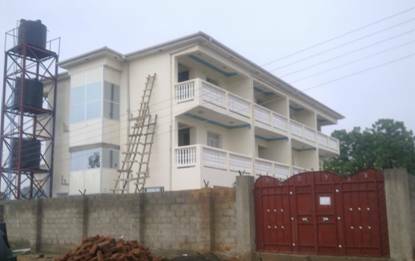 These are one bedroom or single room apartments, air conditioned, self contained furnished with wireless internet and Satellite TV for a fee. The rooms are walking distance from the river and the football stadium. There is a small open bar for relaxing in the evening. The compound has a mix of small and medium single storey accomodation, stone, prefab or the owner, who is a contractor, can put up a house for you on order in two months. Price guide $2,000 per month, for those who want to cook for themselves or relax under a mango tree on weekends. “C” deals in courier services and cargo freight and also do clearing and forwarding all over the world. They are the best deal for a quick parcel to a neigboring country in hours. They offer delivery within Juba, Their office was is in Juba KCB building, town center, top floor as they are associated with Charleston Travel, but now they have moved to De Havanas next to Logali House. Located in Juba town, +256 477112540. Creative are located just next to the ministries. They have a very friendly staff of six who are very helpful. They make brochures, business cards, banners, t-shirts, caps, posters, company profiles, and all other marketing products. Publications, promotional and marketing materials. They are well known for publishing the free promotional ‘what’s up’ guide distributed to restaurants.